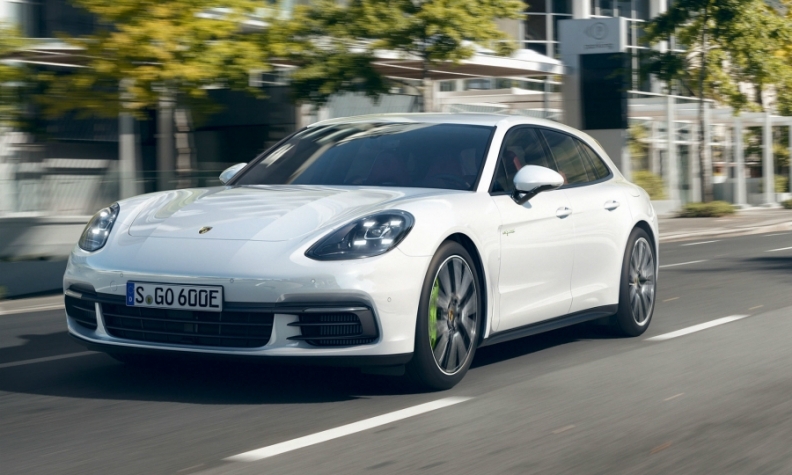 The Panamera, shown, shares its platform with the new Bentley Continental GT. STUTTGART -- As the costs of its diesel scandal continue to rise, Volkswagen Group will be helped by increased synergies between its Porsche and Bentley marques. The VW-owned brands, along with the Bugatti supercar marque, are looking to share costs across a wide spectrum of activities and will achieve annual savings of 100 million euros ($106 million) starting next year, Porsche CEO Oliver Blume said. There are 14 cross-disciplinary teams exploring where costs can be shared, said Blume, who heads VW's new Sport/Luxury group, which coordinates the three brands' activities in order to boost savings. "It is a wide-ranging plan that is highly detailed and thought out," Blume said. Synergies could be found in development work, components, cooperating on financial services, joint sales structures, as well as production and quality assurance, the Porsche chief told reporters at the sports-car maker's annual press conference here last month. Tangible proof of the synergies will be seen when Bentley's new Continental GT arrives next year. The coupe will use Porsche's rear-wheel drive MSB platform that underpins the recently launched second-generation Panamera. The current car's platform is shared with the discontinued VW Phaeton. Bentley could also use EV technology that Porsche is developing for its first electric car, the Mission E. Bentley showed the full-electric EXP12 Speed 6e concept at the Geneva auto show last month. Bentley plans to introduce a plug-in hybrid version of every model in its lineup in the next few years, CEO Wolfgang Duerheimer told the Automotive News World Congress in Detroit in January. Bentley has said that its Bentayga crossover will get a plug-in hybrid drivetrain, which is expected in 2018. The Continental GT will be the next Bentley model to get a plug-in hybrid option, Duerheimer said. Bentley models will use plug-in hybrid technology used by Porsche in models such as the Cayenne, auto press reports said. Bentley did not respond to a request for comment. In another move to increase synergies, VW Group plants in Germany and Slovakia will build parts for the Continental. Stampings will be done at VW's factory in Bratislava, then delivered to Porsche's plant in Leipzig, which will build the car's bodies-in-white alongside the Panamera. Final assembly will be carried out at Bentley's factory in Crewe, England. The Continental represented about a third of Bentley's 11,800 vehicles sold last year. Porsche widened its operating margin to 17.4 percent in 2016 while Bentley's profitability sank to 5.5 percent in part due to ramp-up costs for its Bentayga SUV. Through the end of last year, Volkswagen has booked provisions to cover 22.6 billion euros in costs related to its admissions to rigging diesel emission tests. It stills faces consumer and investor lawsuits in the U.S. and Germany, and criminal probes in Germany and elsewhere.